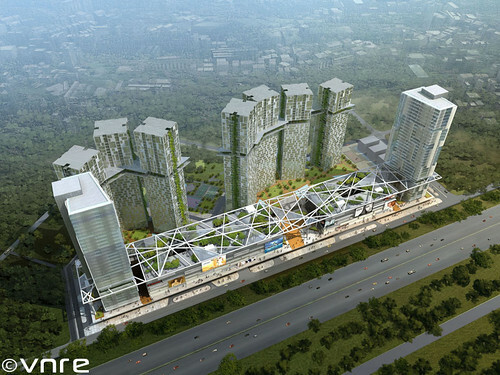 VNRE – Metropolis Thao Dien is located on Ha Noi Highway, an arterial road connecting Ho Chi Minh City with the southeastern provinces, where there will be one of the main lines of the subway system linking District 2, District 9 with the city center. The two main buildings are facing each other to form a majestic gate. A green grass cover divide the commercial zone and residential zone to two separate zone. This grass cover is like as a “pause” for the overall landscape of the buildings. Connect the tower is a dome. In particular, a hanging garden is a combination of exquisite taste with the convenience of transportation between the towers, creating an inter-connected towers together. The hanging garden is different point makes a new trend for modern architecture: bringing nature to “green” concrete, steel and glass which are indispensable materials in the works, create harmony between landscape and benefit of the project. 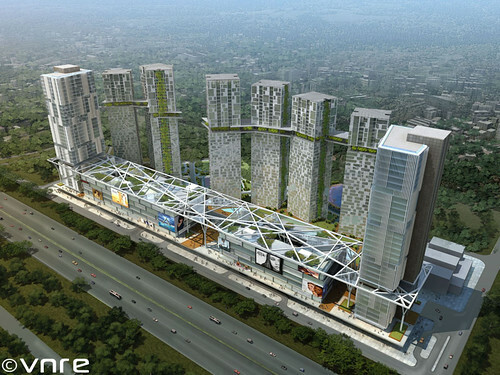 Metropolis Thao Dien deserves as the first commercial center of Vietnam which is on par with the leading commercial center in Asia. – Partner Architects: Ho Thieu Tri Architect & Associates. Realizing that real estate enterprises are facing a lot of difficulties when their products are frozen due to the lack of consumers for months, banks recently have started to “save” these enterprises with credit support packages. According to experts, this move is also a solution for banks to save themselves, when many of their debts to the real estate sector are overdue. The most impressive comes from the Bank for Investment and Development of Vietnam (BIDV) with the model “Linkage of the 4” aiming to save the real estate market. Accordingly, in May 2012, BIDV will continue its capital support package and payment guarantee for the 4: project owner, contractor and supplier of building materials, as well as the bank. This solution will ensure payment among project owner, contractor and supplier of building materials in order to provide products as soon as possible. BIDV will launch the support package in the two largest markets, Hanoi and Ho Chi Minh City. BIDV’s move is hoped to stimulate consumer demand, as well as make a precedent for other banks to follow. Before the model “Linkage of the 4”, BIDV was one of the first banks to launch credit support package with the value of VND4,000 billion, lending money to those who buy houses in projects financed by BIDV, at an interest rate much lower than other banks (16 percent), and loan limit up to 85 percent of the house’s value. Although the package was launched only in Hanoi and Ho Chi Minh City, it is easy to understand that bank and project owners could apply the rescue policy only where most products are in stock. According to Mr Tran Bac Ha, Chairman of BIDV, when launching the policy of reducing interest rate for home loans, BIDV lost VND 1,200 billion – VND 1,500 billion. This was a risky step in the context of most real estate enterprises suffering difficulties. According to statistics, many banks such as Vietcombank, Eximbank, Sacombank, and Agribank still have capital stuck in real estate, and they have not had a turning point regarding credit policies. Consequently, remarkable troubles between banks and real estate enterprises – banks’ borrowers will potentially develop. The bankruptcy of real estate enterprises is certainly the most undesirable thing for banks at this time; however, how to save these enterprises from bankruptcy does not depend only on banks. Whether banks can re-trace loans, freeze loans or keep pumping capital for project owners to complete their projects, the most important factor, the output for products, is not solved. Enterprises are short of necessary capital to operate, products are not moving, and consequently banks also stand to lose considerable income. If this situation keeps going on for a long time, at a certain point, banks will not be able to support enterprises and will have to find ways to save themselves by solving loan-secured properties. At that time, not only enterprises will go bankrupt, but also banks probably will go bust in line. While many real estate enterprises suffer heavy losses, some are determined not to lower prices of their products. It was believed that when Hoang Anh Gia Lai decided to discount 50 percent of their apartments, the real estate market would be in a sharp price discount trend, however recently project owners only lower price as a promotion. SC5 Company even declared that they would never dump prices of their products. The line between survival and death is clearly visible. The terms of maturity, renewal and re-trace of loans have passed for a year, but product consumption ratio of enterprises remains almost equal to 0. If the situation remains the same to the end of 2012, many real estate enterprises will have to leave the market. According to many real estate investors, policies have gradually loosened, but market liquidity has not improved, while interest must be repaid, the only chance for real estate enterprises is to wait for the city resettlement program policy of buying apartments. VNRE – Today 05/18, Keangnam Vina Limited Company opened Hanoi Landmark 72-storey building and Observatory 72 Landmark Sky on 72nd floor of Hanoi Landmark Tower. This is the highest observatory in Vietnam. Located in the heart of Cau Giay District, from a height of 346m, this observatory will be the ideal place for people to be able to observe the development of the capital from the present to the future. In addition, the observatory is also expected to become an attractive destination for tourists at home and abroad. 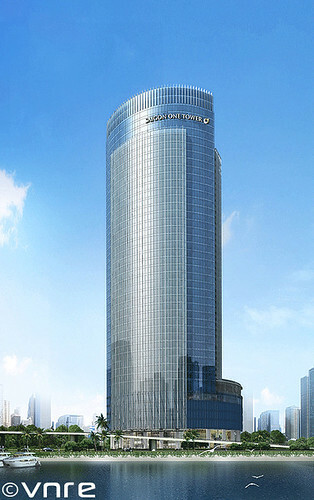 Hanoi Landmark Tower is a combination of hotel, commercial center, office, apartment with a total floor area of 609.673 m2. The project consists of two 50-storey apartment buildings, connected to two apartment buildings is 72-storey commercial, office & serviced apartment tower. This combination is following the new trend in the world: One-Stop Culture in the sense that all is resolved in a place from work, live, enjoy and relax in the same place. Photo courtesy of Mr Ken. VNRE – Bach Dang Hotel Complex is located at 50 Bach Dang Street, Hai Chau District, Da Nang. The project is built on an area of nearly 7.000 m2 include items such as: 17-storey office tower with a total area of 15.623m2; 25 storey hotel – apartment tower, and 4-storey trade center with area of 10.410 m2. 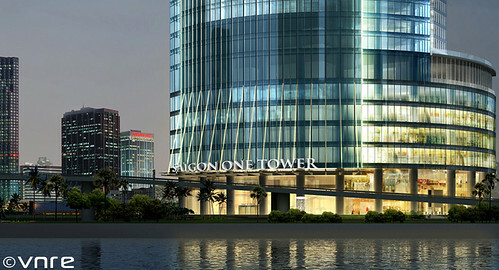 The hotel tower will be named Hilton Danang and managed by Hilton Worldwide. Hilton Danang will be close to popular tourist attractions such as the renowned Non Nuoc Beach and Marble Mountain. Da Nang is also handy to the neighbouring ancient cities of Hue and Hoi An, both popular tourist destinations due to the UNESCO World Heritage Sites found in both cities. 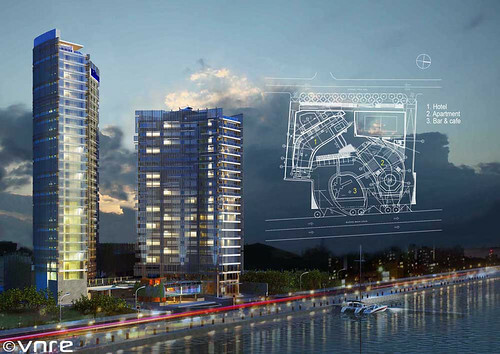 Hilton Danang will have 226 guest rooms including an executive floor. The hotel will also feature an array of food and beverage outlets including a stylish all–day, dining restaurant, a lobby lounge featuring a café and a destination bar. Leisure facilities will include an outdoor swimming pool, a fully-equipped, state-of-the-art health club and a spa. The hotel’s meeting and banquet facilities include six meeting rooms and a 450-sqm ballroom, all featuring the very latest technology, making the hotel the perfect venue for meetings and events. The project was officially started on 20/12/2009. Up to February 2012, the foundation of the project has been completed and was in the process of building basements, diaphragm wall. 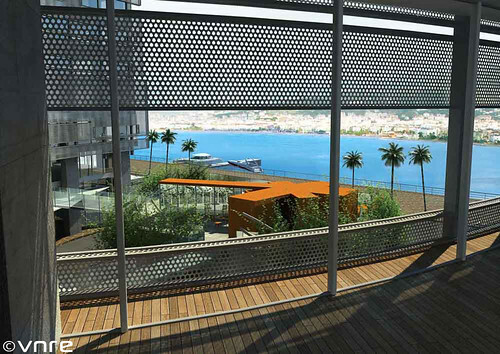 Scheduled for February 2013, 4 podium floors of the project will be completed. 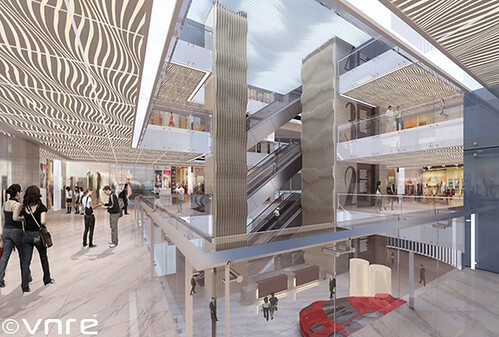 The complex is expected to be put into operation in the fourth quarter of 2013. – Mechanical and Electrical Design: Meinhardt (Vietnam) Ltd.
– Designing structures: ASCA Vietnam. – Hotel management: Hilton World Wide. Tel: 84.511.384 9256 – Fax: 84.511.384 9256. VNRE – Standing proudly at the undisputed premier location in Ho Chi Minh city, against the backdrop of Saigon River, Saigon One Tower is the new landmark building gracing the city with its beauty. More than just a mixed-use building, it is a unique investment in an iconic project setting unprecedented standards in real estate development, service, technology and first-class living. 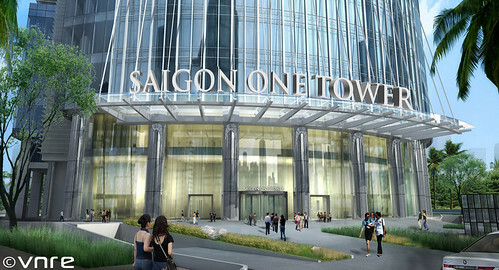 Saigon One Tower offers the most desirable residences and office address in Ho Chi Minh city, No. 34 Ton Duc Thang Street. 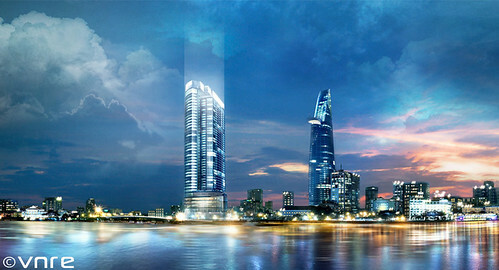 Ideally situated on the banks of the majestic Saigon river, in the heart of the bustling financial and commercial district, Saigon One Tower does not only accord with the municipal planning for the city CBD but also beautify the city skyline by forming a state-of-the-art addition to assist the urban regeneration of the city. Located in the city’s historic area opposite to the famous Ben Nha Rong which is now a memorial museum to the internationally-recognized politician and patriot Ho Chi Minh, Saigon One Tower is a short walk to the historic Opera Theatre and the Municipal Building (or now called the People’s Committee Office) of more than 120 years. It is within a few minutes of walking distance to the famous Ben Thank market with more than 100 years now being the symbolic icon of the City. Various international-standard hotels such as Sheraton, Park Hyatt, Caravelle, Meridien are in the proximity of the Tower with major CBD entertainment and shopping venues nearby. 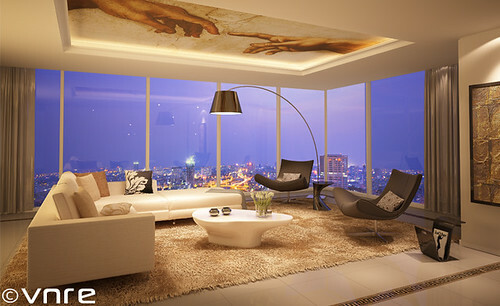 The Vision of Saigon M&C Real Estate Corporation JSC was to design and develop a building which would be pioneering in Vietnam to assist shaping the Central Business District and the people that reside in it by creating an inspirational working and living environment for lifestyle where people can work and live in. 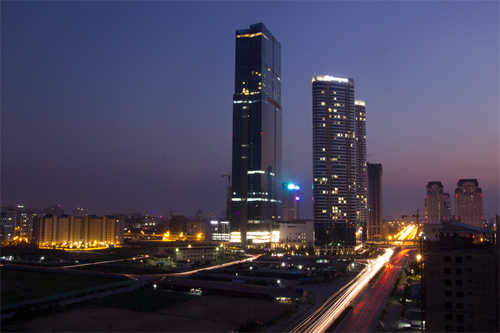 Extensive research and investment were carried out to make Saigon One one of the safest and most sophisticated buildings in Asia. The tower is built on the deepest piling in HCMC today (102m) and also fulfills the strictest fire and safety standards set by the National Fire Protection Association as well as international standards.Wind tunnel tests were also conducted by Windtec (Australia) to minimize the effects of wind on occupants’ comfort and the building’s structure. With the Integrated Building Management System, our facility managers can make the optimum safety and performance decisions based on real time information from all of the building’s systems. Cisco’s Smart+Connected systems enhance our tenants’ working conditions in many waysby deploying advances technologies including: location-based RFID keeping track of people and their location within the building; 24/7 visual monitoring of car park, corridors, common areas, elevators; utilities (phone, internet, electricity, water, gas) monitored continuously and designed to operation without interruption; extendable and scalable to accommodate additional services. – 2.9m floor to ceiling height, 10.00m in Entrance Hall. – Lifts: Using PORT Technology from Schindler, allowing passengers to select the destination by using access card or the normal method without card. 12 passenger lifts for office block including 2 VIP lifts using card to access. 1 office fireman lift for all floors, and 1 goods lift serviced to all office floors. Lift speed time is 6-7m/s. 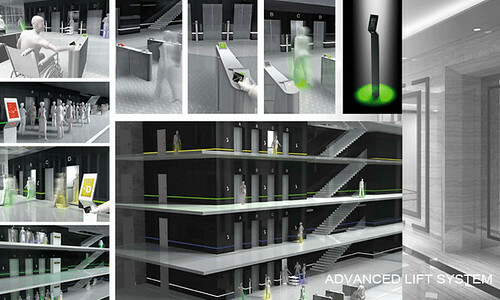 – Lifts using the Destination Control Technology of Schindler reduce waiting time and power consumption of the system in a more efficient use. – Lighting system will be interfaced by iBMS using motion detector devices installed at public access. – Office façade with Low-E glass helps to save 7% of air-condition energy and minimize the effects of solar heat while allowing maximum natural light into office. 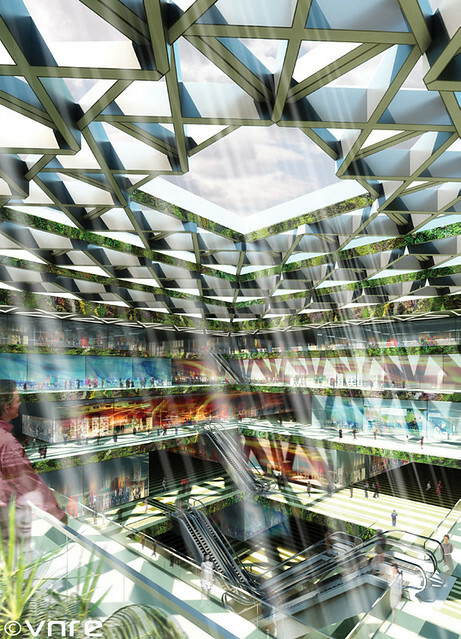 – Offlice floors with sky terrace with double-height ceiling maximizes natural lighting coming to the furthest point of offices and this minimizing electricity cost for lighting. Just on an amazing finger touch, you can control all facilities to comfort your personal life in a stylish way. You are allowed to connect with a world of advanced technologies, the first in Vietnam. Cisco’s Smart + Connected platform and Control 4’s Smart Home control provide you with information and effortless control of your home via your smart phone or iPad. Monitor energy management; gas, smoke and intrusion alarms; integrated multimedia or ambience settings, and remote home surveillance from any place in the world. The office block, a curving vertical volume is designed to respond to the Saigon River with the opposite historic landscape of Thu Ngu flagpole and Ben Nha Rong memorial museum of more than a century old. It is expressed with a curving glass facace, giving a full panoramic view from inside. 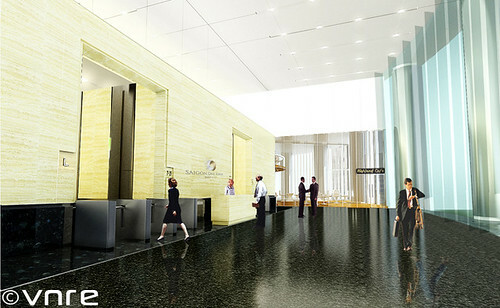 The Office lobby is to have a 10m-high ceiling to create grandness associated with Grade-A office building. With marble floor highlighted by a 6-metre high feature wall of warm tone to give a welcoming feeling of a corporare image. 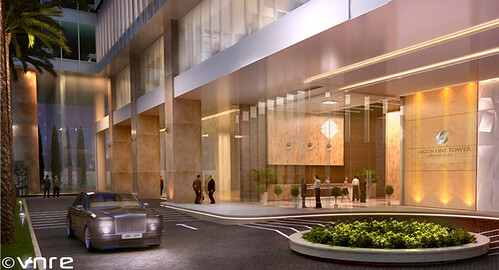 Separate entrance to Offices from Residences and Retail areas. From the moment of entry, every visit is an experience – we know this, we understand this, and we deliver. This is what makes Saigon One the destination. Business & Data Center: A Business & Data Center with international-standard facilities to support business opportunities in Vietnam, including from working terminals with high-class interior furniture, virtual offices, conference rooms equipped with the most advanced Cisco’s TelePresence system, to a data center offering server racks and storage capacity. Restaurants: Saigon One Tower not only provides an international food court on the 4th floor but also in-room dining services together with a signature VIP restaurant and bar with the finest selection of dedicacies and wines on building rooftop. These public floors are accessed via a dedicated speedy panoramic lift. Privileged Club: Our impressive array of facilities in Saigon One is packaged in a VIP Club where you are ensured an unsurpassed comfortable working and living environment. Revive and rejuvenate in the soothing day spa with its enhanced treatments. Relax and refresh by the cool calm swimming pool and sky garden, or physically recharge yourself in our full service gym. 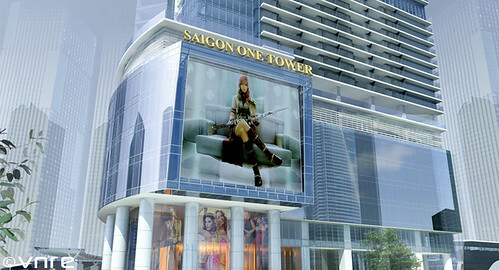 Saigon One is proud to serve you the best that life has to offer. – Developer: Saigon M&C Real Estate JSC specializes in real estate development, construction, back filing… and is one of the biggest and most reputable real estate developers in Vietnam. Our products always satisfy the highest international standards in order to create a luxury, modern with abundant facilities but still remain a natural environment in accordance with the present municipal planning. – Main Contractor: Bouygues Batiment International (BBI) – a subsidiary of Bouygues Construction (France), a world leader in the construction field – carries out major projects in over 20 countries. BBI is providing to clients with innovative financing, design, construction, operation and maintenance solutions for their projects. 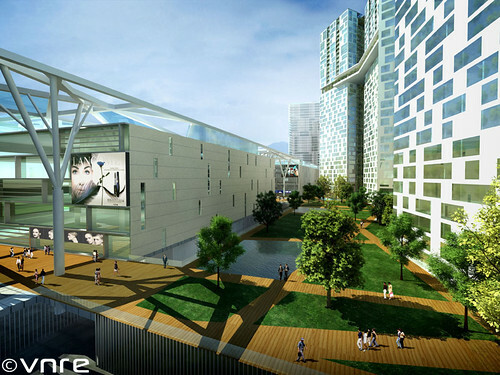 BBI has been awarded in 2010 the largest PPP for a sports complex: The Sports Hub in Singapore. Lately, BBI has achieved major landmarks with some outstanding awards such as Tampines, the Arte @ Thomson, The Sail @ Marina Bay, Quayside Condo, Ritz Carlton hotel, etc. – Architect: As architects, designers, planners and consultants, Gensler partners with clients on some 3,000 projects every year. With more than 2,000 professionals networked across 35 locations, Gensler has always been recognized as a trusted partner in every project. Gensler’s work reflects an enduring commitment to sustainability and the belief that design is one of the most powerful strategic tools for securing lasting competitive advantage. This gave Gensler the opportunities to become designers of numerous iconic projects such as Shanghai Tower, Ritz-Carlton Dubai International Financial Center, San Francisco airport, etc. – Building Management Network Consultant: Cisco Systems, Inc. is the worldwide leader in networking for the Internet. Today, networks are an essential part of business, education, government and home communications, and Cisco Internet Protocol-based (IP) networking solutions are the foundation of these networks. Cisco’s hardware, software, and service offerings are used to create Internet solutions that allow individuals, companies, and countries to increase productivity, improve customer satisfaction and strengthen competitive advantage. 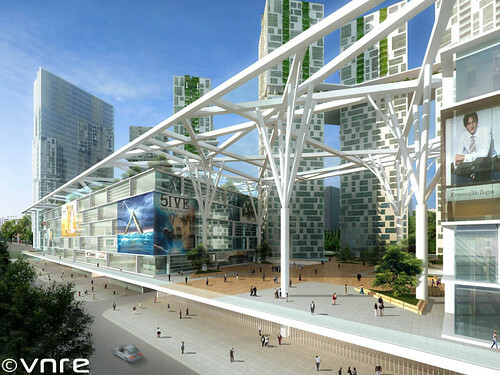 – Principal Architect: DP Architects (DPA) was founded in Singapore in 1967 with a deep concern for the built environment and the need to create architecture of excellence that enriches the human experience and spirit. With over 40 years of architectural practice, DPA has established its presence globally as one of the leading architectural firms in Asia with a diverse portfolio of prjects such as Esplanade-Theatres on the Bay, the Dubai Mall, Resorts World Sentosa, and Sports Hub Premier Park. – Local Architect: ATA places strong emphasis on design excellence and professional integrity and personal commitment for clients. ATA has adopted several international system in HR management, as well as collaborated with different associations and consultants. 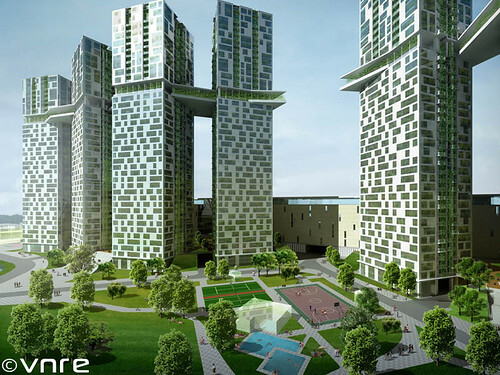 The company has been involved in a wide range of projects with complicated technical requirements such as Cho Ray Hospital, Nhon Trach New Town, Vietcombank Tower, Rach Chiec Sports Complex, etc. – Exclusive Retail Agent: CB Richard Ellis Vietnam. VNRE – Ibis Saigon South is the first international hotel in District 7, right in front of Saigon Exhibition & Convention Centre and only 15 minutes from the center of Ho Chi Minh City. 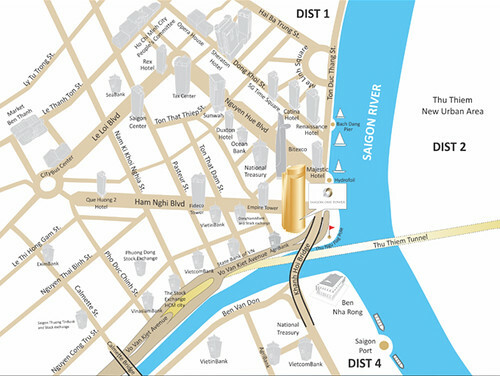 IbisSaigon South is right in front of Saigon Exhibition and Convention Centre (SECC) and only 15 minutes from the city centre of Ho Chi Minh. The 1st International 3 star hotel in Saigon, it is within walking distance to Global Corporate Offices, FV hospital, Medical Centers and Shopping Malls. It features 140 stylish designed rooms with timber floors, complimentary Wi-Fi internet access, 1 restaurant/bar/3 meeting rooms. Free Ibis shuttle is available to and from the hotel to major corporate offices and the city centre. As the 3-star international economy hotel chain managed by Accor Hospitality, Ibis Hotels are expanding rapidly with 900 hotels and over 104,000 rooms in 48 countries. 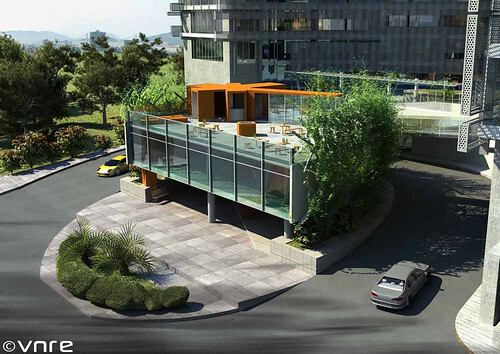 The first Ibis Hotel opening in Saigon, Vietnam in 2012, strengthening its leading position across the country. Modern simplicity. Friendly vibes. Well-being at the best price. VNRE – Hilton Worldwide today signed a new management agreement with Hoan Kiem Tourism & Trading Company Limited to introduce the first Hilton Garden Inn and Hilton Worldwide’s second property in Vietnam. 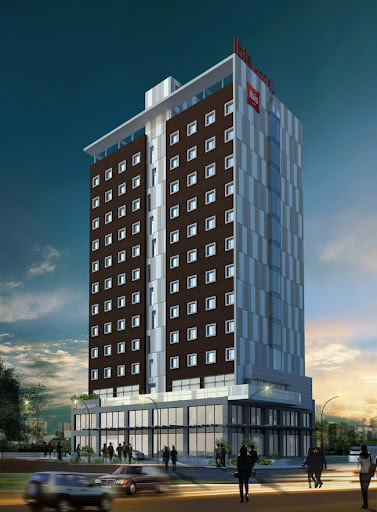 Scheduled to open in the second half of 2012, the 86-room Hilton Garden Inn Hanoi marks the debut of Hilton Garden Inn, Hilton Worldwide’s award-winning, mid-priced brand, in Southeast Asia. Hilton Garden Inn is a popular choice with business and leisure guests across the world, thanks to features such as complimentary Wi-Fi access, the Garden Sleep System bed, ergonomic chair, as well as 24-hour business center with remote printing capabilities. Located at the intersection of Tran Hung Dao and Phan Chu Trinh Avenues, Hilton Garden Inn Hanoi occupies a premium location in the French Quarter of Hanoi, known for being the business and leisure center of the city. Directly opposite the Ministry of Finance, the hotel is within close proximity to many embassies, institutions, government organizations, museums, and is 600 meters from the renowned Grand Opera House. Linked to major highways and the West Lake area, the hotel is within walking distance to Hoan Kiem Lake and other places of interests, and 40 kilometers from Noi Bai Airport. “We are pleased to continue our expansion of the Hilton Garden Inn brand in Southeast Asia. Business and leisure guests to the Hilton Garden Inn Hanoi will enjoy the amenities synonymous with this award-winning brand designed to help them stay efficient while on the road,” said Adrian Kurre, global head, Hilton Garden Inn. 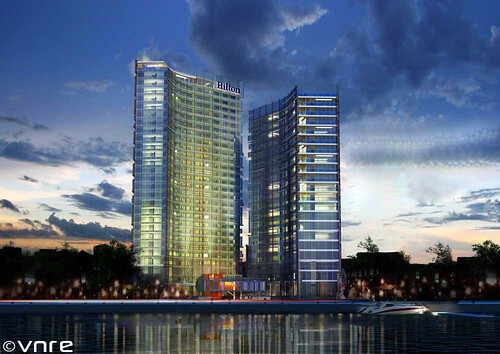 The 11-storey Hilton Garden Inn Hanoi will have 86 bedrooms and excellent facilities for business and leisure guests. The hotel offers an all-day dining restaurant and a lounge bar, a 100-square meter meeting room as well as a spa and onsite car parking facilities. 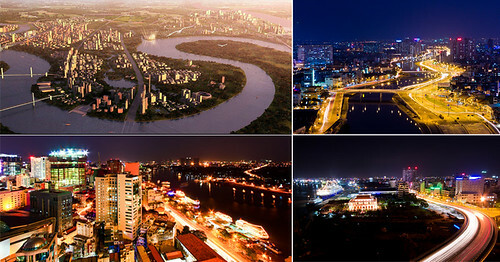 Hanoi is the capital city of Vietnam and is located in the northern part of the country on the banks of the Red River. Known as “Paris of the Orient” for its beautiful Chinese and French colonial influenced architecture, Hanoi houses 4,000 historical sites and attractions, of which 900 are rated as national historical sites. With the expansion of Noi Bai International Airport to a capacity of approximately 25 million passenger movements in a year, the city’s economic structure is evolving as tourism, finance and banking play an increasingly important role. “We are delighted to welcome the first Hilton Garden Inn to Vietnam and to Southeast Asia through this partnership. Given Hanoi’s attractiveness as a destination for both business and leisure travelers, the strength of the Hilton Garden Inn brand as well as Hilton Worldwide’s expertise in global hospitality, we are confident that the hotel will set a new benchmark for unparalleled service and quality guest experiences in Vietnam,” said Nguyen Thanh Long, Vice Director, Hoan Kiem Tourism & Trading Company Limited. Hilton Worldwide currently manages one other hotel, the Hilton Hanoi Opera, in Vietnam. Via Hilton Garden Inn Media Center.